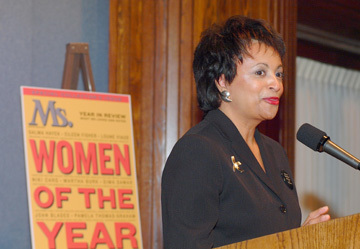 The President has nominated Carla Hayden to be the next Librarian of Congress. I have met her through IMLS and support her for this position. As a public librarian, she can bring an access and public service orientation to a position that has traditionally been focused on Congress’ needs and collecting valuable materials. The Library of Congress is both a powerful symbol and a fabulous organization. Its collections are unbelievable– there are employees in Cairo and Delhi collecting the best that humanity has produced. The Library has high collecting standards and has resisted restrictions from being put on access. For instance, the Library of Congress has actively pursued web archiving since 2000 and made these collections more available than almost any other institution. As the home of the US Copyright Office, the Library can keep the constitutional balance in mind as copyright laws evolve. All of these features of the Library play into the strengths of Carla Hayden who can help shape a potent institution for our new century. If the President’s choice is right, which it looks to be. The Congress Library will see a new light of day and reach new heights. It will be gist to the generations to come, to have public access to the greatest works of Humanity.